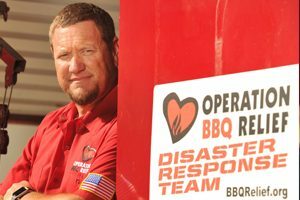 Operation BBQ Relief was founded in May 2011 in response to a need for relief efforts in tornado-stricken Joplin, Missouri, a community of about 50,000 residents. 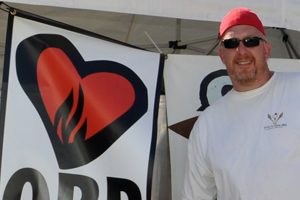 Competition barbecue teams from eight states answered the call to help feed displaced families and emergency personnel. 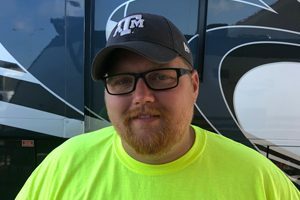 The group was able to serve over 120,000 meals over 11 days. Food was delivered to shelters, hospitals, senior living communities and the Humane Society. Volunteers loaded food into vehicles and delivered directly to families in the impacted areas. The operation was made possible by all who contributed food and supplies and funding from across the country. I have looked for different ways I could possible make a difference in this world, with OBR I feel like my talents and convictions can best be used to help others in times of need. 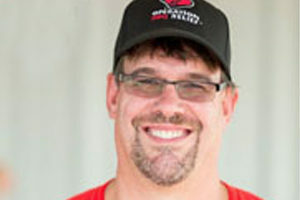 Scott Webb is the Vice President of Domestic Sales, Marketing and Innovation for Seaboard Foods. 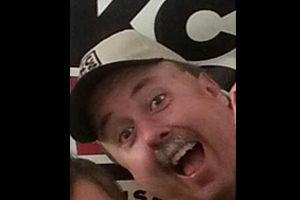 Scott obtained his Bachelor of Science Degree in Agricultural Economics from Fort Hays State University in 1985, and his master’s degree in Business Administration with Honors from Rockhurst University in 2000. 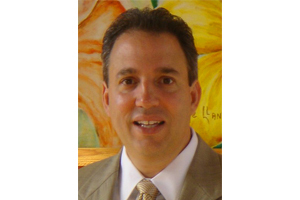 Scott brings more than 30 years of professional experience in sales, operations, marketing and business development to his current position. People helping people is a beautiful thing. That is why I got involved with OBR. It is an honor to be asked to help guide, develop, and support an organization that provides comfort in the form of a hot meal during a crisis. We take pride in knowing it makes a difference. 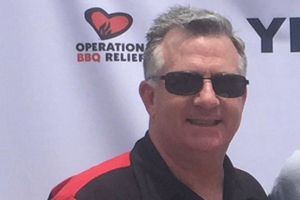 Because the feeling you get providing warm BBQ meals to those in need and the hardworking first responders is amazing, I can’t think of another way to say it. 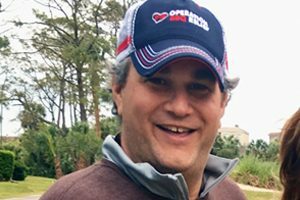 David Dzanis has spent more than twenty-five years in the sports marketing industry representing leading properties, events and brands. 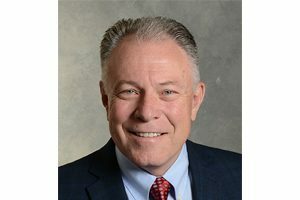 He currently owns and operates Azuero Group, LLC a marketing consulting company focused on domestic and international sporting events, properties and athletes. October 29, Hurricane Sandy came barreling up the East Coast. I saw all the devastation around me and on the news. I knew that I was the lucky one, and I needed to do something. I assembled some food supplies, packed my bags, hooked up and was on the move. Knowing that I am making a difference in a person’s life during a time of need is so gratifying. OBR makes a difference in the world one meal at a time and I am so honored to be a part of this great organization! Being involved with OBR is to be part of something bigger than any one person. To witness how a group of people completely unknown to each other can converge on a disaster scene and start to provide hope and compassion one meal at a time is indescribable. This has been my experience since 2012 and looking forward to serving alongside the countless volunteers that share in OBR’s mission. I got involved with OBR to help others. I stay involved because of the amazing volunteers and partners that come together during a disasters and just make things happen! The look on someone’s face when you hand them a hot meal says it all. This is the best the human spirit has to offer. Partners and volunteers, selfless giving during another’s time of need is just an amazing thing to experience. 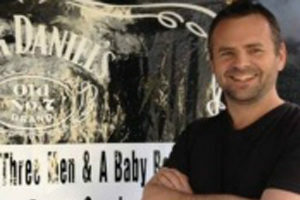 I enjoy cooking for others, and I also enjoy giving back to those in need. So when this Organization asked me to be apart of it it brought my 2 passions together. Why did you get involved? 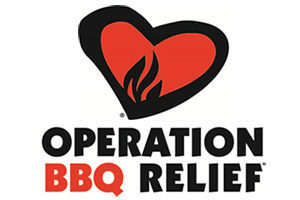 I volunteer for Operation BBQ Relief because I love to help people in need. I have a strong drive to make things work no matter how hard they are. Why did you get involved? 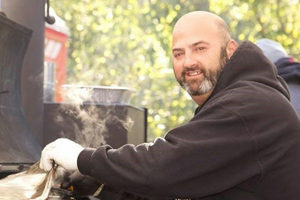 It allows me to do something I love, BBQ, and help those in need. Why did you get involved? 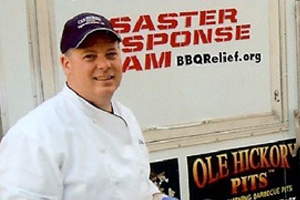 Patrick and Kathy became involved with Operation BBQ Relief in the spring of 2012. 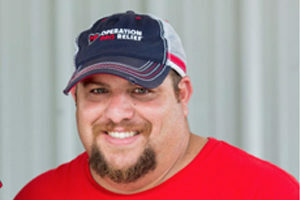 I volunteer for OBR because I love to help people in need. I have a strong drive to make things work no matter how hard they are. If you are interested in becoming a State Lead in your area, please email us here.